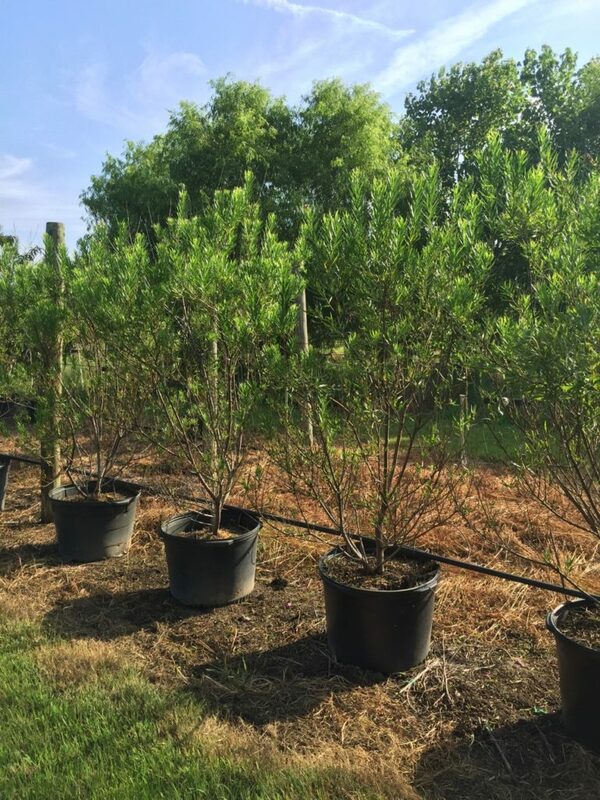 CHILOPSIS LINEARIS, known mostly as Desert Willow is a great choice when looking for a low maintenance flowering tree. While their heat tolerance is high and their water requirement is low, they still grow fairly quickly to heights of up to 20′. This Texas native blooms between Summer and Fall and produce beautiful white to pink trumpet-shaped blossoms!